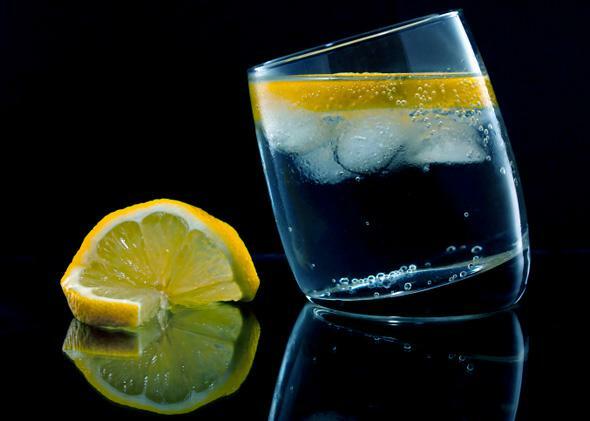 Gin and tonic kept the British Empire healthy: The drink’s quinine powder was vital for stopping the spread of malaria. How the gin and tonic became the British Empire’s secret weapon. This stuff really is medicine. The gin and tonic is having a moment. From Spain—where gin and tonics are practically the national drink—to our summer shores, the venerable G-and-T is everywhere. House-made tonic is on the menu in restaurants from coast to coast, and in many fine bars gin and tonics come in dozens of varieties, with special tonics and fruit garnishes matched to distinctive artisanal gins. Of course, a lot of classic cocktails are enjoying a resurgence—part Mad Men, part the boom in distinctive small-batch spirits, and part the waning fad of faux speakeasies with handcrafted bitters and bartenders in arm garters chipping away at blocks of ice. What was the source of the gin and tonic’s great power? As is sometimes said of tequila, the gin and tonic is not just a drink; it’s a drug. The story begins with the jewel of the British Empire: India. British India comprised both more and less than modern-day India. More, in that it included large parts of what are today Pakistan and Bangladesh. Less, in that much of India under the British Raj was quasi-independent, in so-called princely states that were nominally sovereign but largely under England’s thumb. India was so important to the empire that in 1876 Queen Victoria added the moniker “Empress of India” to her title. Her successors continued that practice right up till 1948, under George VI (he of The King’s Speech fame). Guns and steel clearly favored powers like Britain. These innovations allowed Britain (and other European countries) to deploy weapons such as machine guns at a time when many societies around the world still used swords and spears. But germs were more equivocal. Malaria in particular was a virulent killer of colonized and colonizer alike. While malaria has a long history in Europe, it began to be eradicated in the 19th century, and even earlier it was never as deadly as it was in tropical locations. So as Europeans established colonies in the tropics, they faced a serious and often mortal threat from the mosquito-borne disease. Soldiers and civilian officials alike succumbed to it. Eventually it became clear that cinchona bark could be used not only to treat malaria, but also to prevent it. The bark—and its active ingredient, quinine powder—was a powerful medicine. But it was also a powerful new weapon in the European quest to conquer and rule distant lands. Quinine powder quickly became critical to the health of the empire. By the 1840s British citizens and soldiers in India were using 700 tons of cinchona bark annually for their protective doses of quinine. Quinine powder kept the troops alive, allowed officials to survive in low-lying and wet regions of India, and ultimately permitted a stable (though surprisingly small) British population to prosper in Britain’s tropical colonies. Quinine was so bitter, though, that British officials stationed in India and other tropical posts took to mixing the powder with soda and sugar. “Tonic water,” of a sort, was born. Still, tonic water was basically a home brew until an enterprising Brit named Erasmus Bond introduced the first commercial tonic water in 1858—perhaps not coincidentally, the very same year the British government ousted the East India Co. and took over direct control of India, following the so-called Sepoy Mutiny, a violent rebellion and counterattack. Bond’s new tonic was soon followed by Schweppes’ introduction, in 1870, of “Indian Quinine Tonic,” a product specifically aimed at the growing market of overseas British who, every day, had to take a preventative dose of quinine. Schweppes and other commercial tonics proliferated both in the colonies and, eventually, back in Britain itself. Gin, which in earlier days had been associated with vice and social decay among the lower classes in Britain—take a look at William Hogarth’s famous print Gin Lane for a taste—was by the 19th century making its long march toward respectability. It was only natural that at some point during this time an enterprising colonial official combined his (or her) daily dose of protective quinine tonic with a shot (or two) of gin. Rather than knock back a bitter glass of tonic in the morning, why not enjoy it in the afternoon with a healthy gin ration? The gin and tonic was born—and the cool, crisp concoction could, as Churchill observed, start saving all those English lives. And American lives. Quinine proved as critical to the battle over the Pacific in World War II as it had to the struggle over India. As Amy Stewart notes in her new book, The Drunken Botanist, Japan seized Java, the home of huge cinchona plantations, from the Dutch in 1942, cutting off nearly all of the Allied supply of quinine. The last American plane to fly out of the Philippines before it fell to the Japanese carried some 4 million quinine seeds. Unfortunately, the effort was largely in vain: The trees grew too slowly to provide sufficient quinine to the Allied war effort. The gin and tonic, of course, was not enough to keep the British Empire alive either. Churchill, and many other British leaders, fervently believed that imperialism was essential if Britain was to remain a truly great power. But the strength and appeal of independence and self-determination was overwhelming, and India could no longer be held down by a small coterie of foreign officials, even with their quinine-based cocktails. By 1947 India—and Pakistan—were independent nations. Kenya, Jamaica, Malaya, and other tropical colonies soon followed. Today, “empire” is a dirty word. But the gin and tonic lives on. The drink went from a bitter medicinal tipple in tropical outposts to a mainstay of British clubs and bars by World War I. In postwar America, the gin and tonic became synonymous with WASP summer retreats and country club lounges. Then, in the ’70s and ’80s, gin was almost forgotten as first classic cocktails went out of fashion and then vodka began to explode in popularity. Now the gin and tonic is back, especially at the very high end, where artisanal gins from Brooklyn, San Francisco, and all parts in between can be mixed with special tonics like Fever-Tree (get it?) or Fentimans. But the gin and tonic certainly did the British Empire a lot of good. So as you mix your next one, remember the curious history of the drink—or is it a drug?—in your hand.